In producing a body of work inspired by and named after Shahrnush Parsipur’s experimental novel about five women’s experiences in 1950s Iran, Women Without Men (1989), Shirin Neshat continues in the vein of her series of photographs “Women of Allah,” 1993–97. Using high-production-value film, video, and photography, the artist here makes visual the author’s exploration of the intersection of gender and ideology. 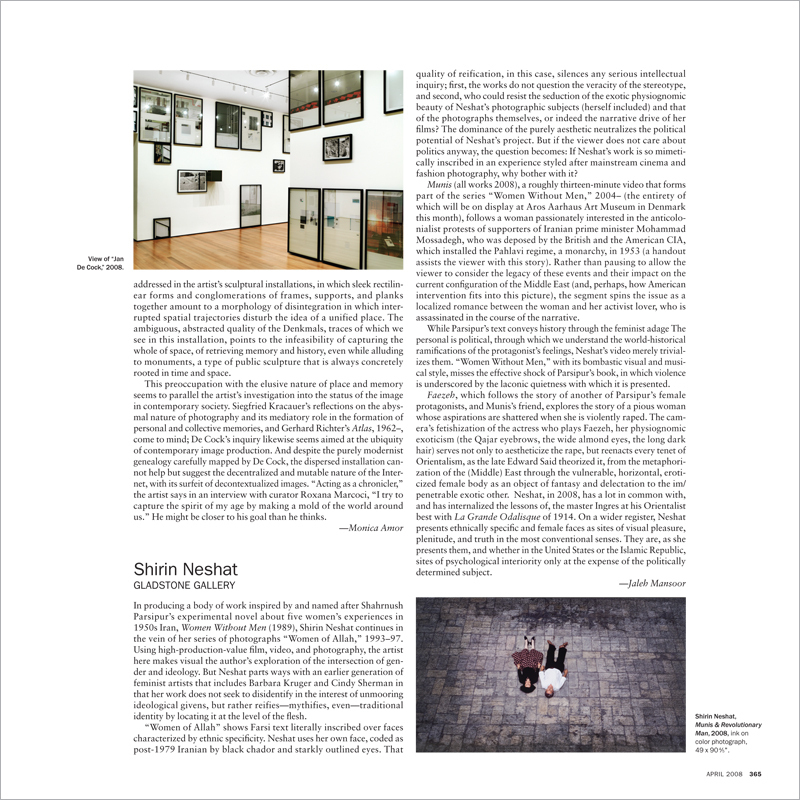 But Neshat parts ways with an earlier generation of feminist artists that includes Barbara Kruger and Cindy Sherman in that her work does not seek to disidentify in the interest of unmooring ideological givens, but rather reifies—mythifies, even—traditional identity by locating it at the level of the flesh.